Master of Network Administration and Security, Masters Degree in Network Administration and Security course outline - Online Distance Learning degree program for adult students Atlantic International University. "IF WE COULD FIRST LEARN WHERE WE ARE AND WHERE WE ARE GOING, WE WOULD BE BETTER ABLE TO JUDGE WHAT TO DO AND HOW TO DO IT." The Master of Network Administration and Security (MS) program objective is help students to develop the skills necessary to teach the theory, principles and practice of system management, including network and system design, analysis, efficiency and security. The Master of Network Administration and Security (MS) program is offered online via distance learning. After evaluating both academic record and life experience, AIU staff working in conjunction with Faculty and Academic Advisors will assist students in setting up a custom-made program, designed on an individual basis. This flexibility to meet student needs is seldom found in other distance learning programs. Our online program does not require all students to take the same subjects/courses, use the same books, or learning materials. Instead, the online Master of Network Administration and Security (MS) curriculum is designed individually by the student and academic advisor. It specifically addresses strengths and weaknesses with respect to market opportunities in the student’s major and intended field of work. Understanding that industry and geographic factors should influence the content of the curriculum instead of a standardized one-fits-all design is the hallmark of AIU’s unique approach to adult education. This philosophy addresses the dynamic and constantly changing environment of working professionals by helping adult students in reaching their professional and personal goals within the scope of the degree program. Publication: Each Master of Network Administration and Security Engineering graduate is encouraged to publish their research papers either online in the public domain or through professional journals and periodicals worldwide. The duties of a system administrator are wide-ranging, and vary widely from one organization to another. 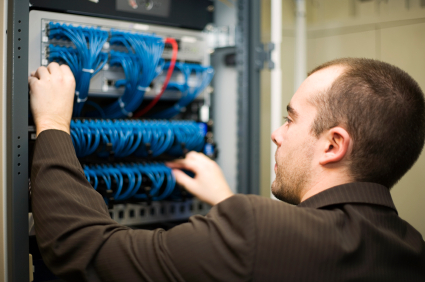 System administrator are usually charged with installing, supporting, and maintaining servers or other computer systems, and planning for and responding to service outages and other problems. Other duties may include scripting or light programming, project management for systems-related projects, supervising or training computer operators, and being the consultant for computer problems beyond the knowledge of technical support staff. A system administrator must demonstrate a blend of technical skills and responsibility in order to perform their job well.